All BMC Air Filters are washable and environmental friendly. Its advisable to clean it every 25000 kilometres to ensure maximum performance from the air filter. Below are the attached instructions for regeneration. Last edited by BMC; 01-10-2009 at 06:15 PM. hi bro, you have a pm! PM SENT TO ALL CUSTOMERS. 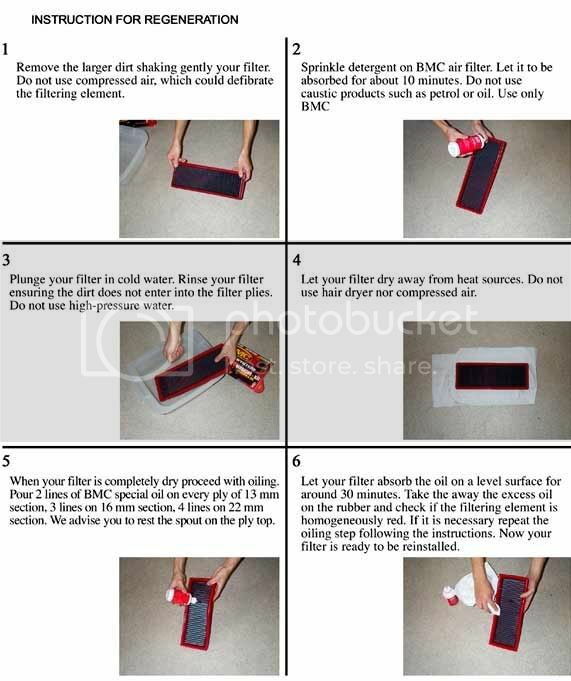 hi..are u still selling bmc cleaning kit?